Hello Tumblrettes and Tumbroes! (Haha I’m copyrighting that just in case it goes viral) For the sake of updating and somehow imparting knowledge(?) 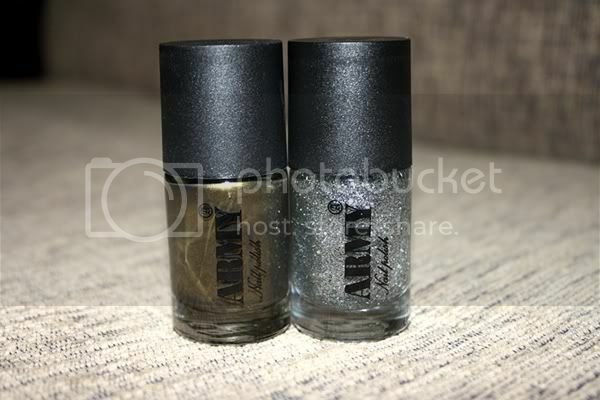 NAIL POLISH knowledge that is, here’s nailpolish I bought last week from the ARMY!! No really! I’ve been into metals lately and shimmery things (and Miley Cyrus) and so I gravitated towards these two bottles of love and gold! 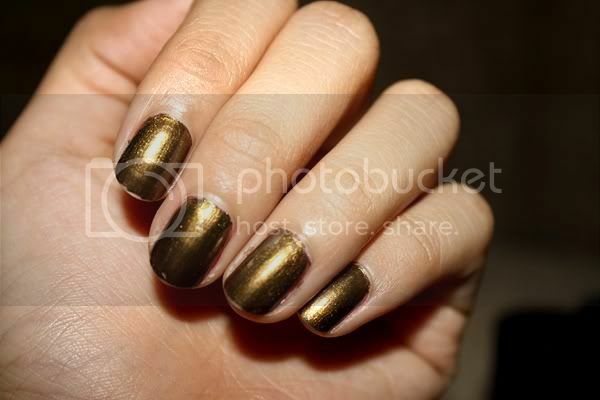 I wanted to try the FOIL NAILS trend but alas those are hard to find and apparently only available in Thailand? Singapore? Here in Asia. Tried them on as soon as I got ‘em hence the silver glittery one on top of bare nails. They remind me of fairytales, more specifically, Cinderella and her glass slipper. I recommend putting a silver base coat first for sparkly goodness!